New Construction – Find real estate in Utah along the Wasatch Front using our search to find homes by price, bedrooms and more. All companies listings. Buying, selling or building we focus our efforts towards delivering absolutely the best service! Coldwell Banker Residential Brokerage offers the following recommendations for home buyers looking to purchase a brand new residence from a builder or developer. A buyer needs to select a geographic area that is suitable for their individual lifestyle. Today, lifestyles are the key determinant to making an informed home buying decision.The buyer should determine what is a reasonable commute to work and what the means of transportation will be…via interstate or mass transit. Schools will be of great interest to the buyer with a family. If seeking a pre-retirement or retirement home, the buyer should determine the proximity of family, friends and existing home.A determination should be made as to where consumer goods and medical services are made available.Affordability is a key factor in any home buying decision. Knowing if this is a move-up in home value, or a lateral or downward move, will move the decision making process right along.Once these lifestyle issues can be resolved, the search can be narrowed to several qualifying locations. Once location has been selected and a Coldwell Banker Residential Brokerage Sales Associate has shown the buyer several new home sites, the next step is to research the builders. 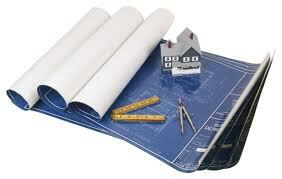 A reputable homebuilder will belong to a local homebuilders’ association. Also, it is advisable to check with the local building inspector for an opinion on quality. Choosing a builder is just as important as choosing the style of the home. The builder not only has the responsibility for the largest investment a buyer may ever make, but his or her skill and preferences can have a direct impact on future comfort and happiness.Not all new home communities are the same. Each one carries the distinctive mark of the builder, whether that happens to be innovative floor plans, distinctive craftsmanship, bold architectural statements, or just great value. Each builder also has a different personal style and way of communicating with his or her clients. The buyer should consider references of past clients. Drive through one of the builder’s previous subdivisions on a Saturday morning and try to get a random sample of opinions. Ask questions like: Are you happy with your home? People are usually willing to share their joy or their sorrow. Now that the right location and the right builder have been selected, it is appropriate to go to contract. Most builders require anywhere from 10% to 25% down in order to start a home. If the home is up and standing, the builder will accept 10%. If a custom home were to be created specifically for the purchaser, the builder would then expect a 25% deposit at contract. Selections increase in proportion to the price tag of the home. Correspondingly, the time it takes to build the home increases with the size and the number of custom features selected. Realistically, a home delivery date range, if started from scratch with an improved road to the home site, can take anywhere from 120 days to 18 months. Remember, the builder is anxious to keep the home delivery schedule on time. The builder does not get paid until closing. Before the closing, a home inspection tour will be conducted. During the tour the builder will point out all of the features and provide warranty information on each. Learning about maintenance and upkeep responsibilities is very important. Most new homes come with a one-year warranty on workmanship and materials. However, such warranties do not cover problems that develop because of failure to perform required maintenance. Many builders provide a booklet explaining common upkeep responsibilities and how to perform them. Manufacturers provide warranties that are covered by the manufacturer, not the builder. The builder is responsible for any building code violations that occurred. However, in the unlikely event that there has been a violation (because builder research was conducted), the responsibility becomes the builder’s. During the inspection, the purchaser should look for scratches in the countertops and flooring. Walls should not have gouges and the moldings and trim should be square. The buyer should take pictures before the title is taken, particularly if a problem is discovered. The builder will prefer, under all circumstances, to conduct any and all repairs prior to the buyer moving in because it is easier for them to work on repairs in an empty house. One year later, it’s not uncommon to find settlement cracks in the drywall or nail pops. These are easily remedied and are the responsibility of the builder. A call to the builder is recommended prior to the termination of the one-year warranty. When it comes to building a new home it can be a very exciting time and often the excitement up front clouds peoples vision with regard to many other aspects. From the financing to the building process to the closing process. There are very many complex details that you will be involved with along the way and for most people this process becomes very stressful. It doesn’t have to be though. By choosing the right team to work with you can avoid many headaches and have a terrific experience. The builder has a sales agent at the model home should I just work with them? If I choose to work with the sales agent at the model home will I save money by not having my own Realtor? If I have my own Realtor will I have to pay a commission? How much of a deposit is required up front to build? What if I am using a VA loan do I still have to pay a deposit? Should I finance the construction loan or the builder? What protections are in the builders contract to protect you as a buyer? The answer is usually NONE! So what can you do about this? Choose a seasoned expert to work with that can help you address your individual concerns and help you negotiate an equitable agreement.